The rationalist philosophies of the Enlightenment and the subsequent emotionally-driven response of Romanticism—both movements in of the 18th century—were fuel for the intellectual fires of thought that raged in the 19th century. Here are four movements that made a powerful mark on a century that began with Napoleonic hegemony and ended with the emergence of Anglo-speaking empires. In Germany, Idealism was closely linked with the Enlightenment and Romanticism. It began as a reaction to the work of Immanuel Kant and his book, Critique of Pure Reason. The philosophy of idealism purported that our perception of an object is what forms its properties in our eyes—and moreover, those properties are not even inherent in the object itself: its very appearance is a separate entity. That said, the properties an object might actually have as its inherent qualities are totally undiscoverable and therefore irrelevant. In England, idealism took a slightly different tack. British Idealism purported belief in an Absolute reality that was indeed independent of variegated perceptions. Reason was touted as a means for discovering the Absolute, and also as the structure of the Absolute itself. British idealism was a reaction against the ideas of Locke, Hume, and Utilitarianism. The debate around the nature of an object being separate from its perception paved the way for changes in art, literature, science, and politics. For example, many of the experimentations in form, color, and texture that were done by Impressionist, Post-Impressionist, and Modern artists (think of Van Gogh’s swirling skies or Picasso’s cubed human forms) stemmed from the notion of exploding the idea of an accurate depiction of reality. Nation-states had already begun to form in the Middle Ages with the consolidation of Royal Power, like that of the French King, Louis XIV. By and large, if there was national identity, it was imposed from the top down by the mixing, mingling, and conquering of European royal families. But after the Napoleonic armies swept across Europe, cohesive ethnic groups began to rally around a common identity in reaction against French Imperialism—and it was coming from the ground up. Confederations like Italy and Germany, which had heretofore avoided consolidation into a monolithic identity, now banded together and developed a national identity that was often founded on the commonality of language. Nationalism had repercussions in the arts as well. In the attempt to define cultural commonalities and create an empowering mythology, folklorists like the Grimm Brothers complied anthologies like Grimm’s Fairy Tales, while composers like Richard Wagner created musical forms driven by patriotism and pride. Of course, Nationalism had an everlasting effect on politics and world history, eventually creating the powder keg tension of Europe prior to World War I, which in turn created the requisite conditions for World War II, which has largely shaped the geopolitical world we live in today. The ideas of Marxism were promulgated by Friedrich Engels and Karl Marx, who examined history as the story of a dialectic struggle between the haves and the have-nots. In their view, a primitive form of communism amid hunter-gatherer societies had eventually morphed into city-states built on slavery, which eventually turned into feudal systems founded on serf labor. The culminating apex of this class struggle was the rampant capitalism of the industrial revolution, in which money-rich barons wielded an uncaring nonchalance towards the human life that fattened their wallets. The end result of this progression of course, could only be the overthrow of the ruling class by a revolution of the proletariat. While this did not necessarily happen in the 19th century, the ideology fueled the social and economic overturnings of the early 20th century, such as the dramatic story of the Russian Revolution and the subsequent formation of the Communist State. To that end, Marxism had a huge effect on world history through its influence on economic systems, while its notion of challenging the ruling class injected fresh energy into the idea of restructuring the political orders of Europe and casting off ancient monarchies—an idea that had briefly and violently taken root in France, but as of yet, not in a lasting way. In many ways, the Transcendental Movement was sort of neo-Romanticism. 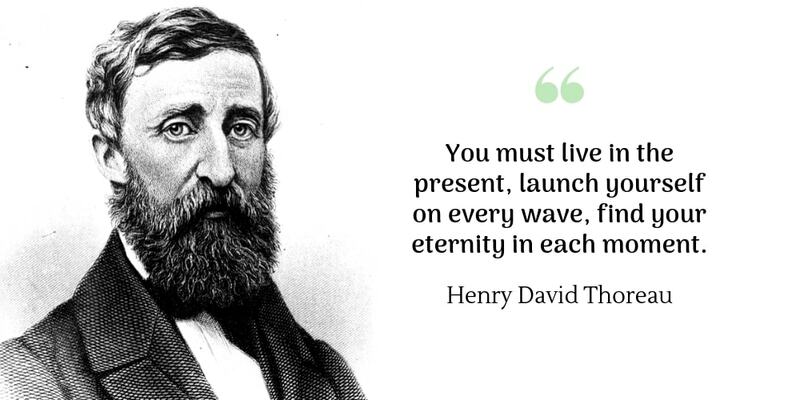 In reaction to both the spiritualism and intellectualism of the times, adherents such as Henry David Thoreau and Ralph Waldo Emerson left behind the hustle and bustle of busy New England life and entered the backwoods of America for spiritual contemplation and reflection. The Transcendentalists believed strongly in the power of the individual and personal freedom. In that way, they were very linked to the traditions of Romanticism that flourished across the Atlantic just several decades prior, but they differed in their willingness to accept the empirical nature of science instead of rejecting it outright. One major component of Transcendentalist Philosophy was the idea that institutions corrupt the individual, and the only way for man to avoid the contaminating effect of politics and organized religion was to flee into a true state of self-reliance and independence—and only from such independent individuals could a true community form. They also believed that each person is an expression of one universal Oversoul, sort of global and timeless subconscious that connected all of humanity. This idea in particular was an example of how the Transcendentalists were heavily influenced by the Eastern religions of the Indian Subcontinent. Transcendentalism was arguably the first all-American philosophical movement and paved the way for explorations of the human mind and the concept of mental health, which would later develop into the field of psychology.